We are always twisting our bodies. This is an example “part 1”of how I used felt, as I mentioned earlier. Model's photos, the middle is the original state. The photo on the left shows a state where the felt is pasted in the wrong place. The picture on the right shows that the felt is correctly pasted. 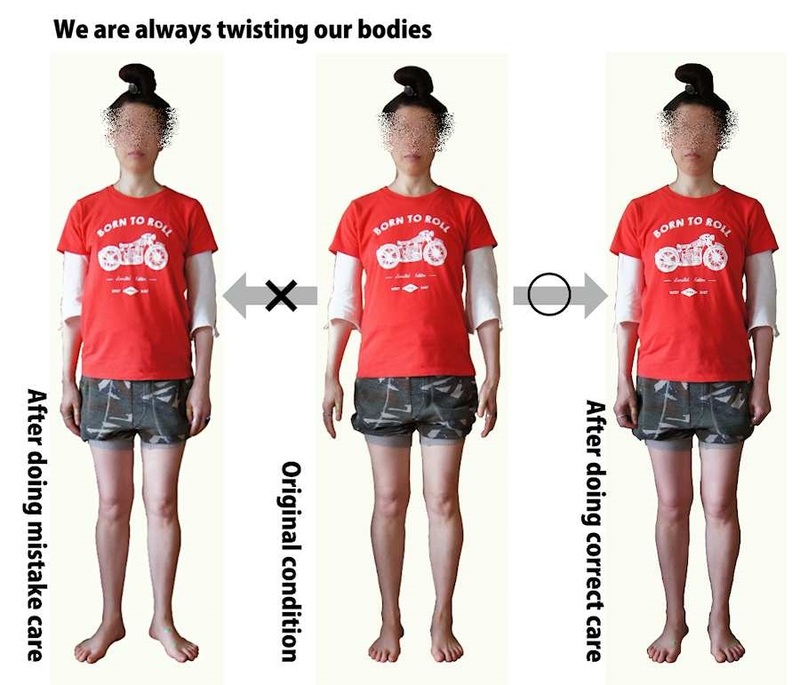 Of the model that is reflected in the 3 Photos body has changed significantly by the twist. This difference was created only in the place where the felt was pasted.